"None of the 10 travelers had received yellow fever vaccination," the CDC said. 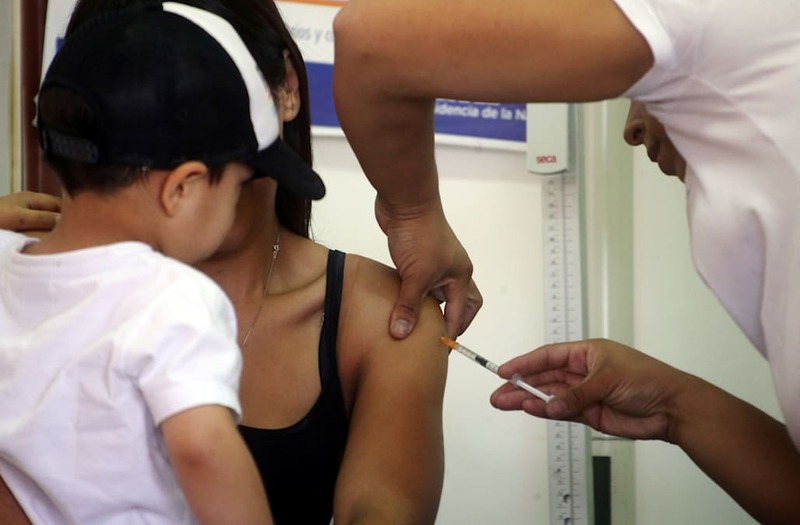 The CDC has been warning about yellow fever in Brazil for more than a year but said the outbreak is even worse than before, affecting areas that usually don't see yellow fever. "There is an expanding number of hotspots in Brazil where yellow fever is being transmitted," said Dr. Marty Cetron, director of CDC's Division of Global Migration and Quarantine. "In light of the expanding outbreak, we encourage travelers to take the extra time and extra steps in order to be vaccinated," Cetron told reporters in a telephone briefing. Yellow fever is a relative of the dengue and Zika viruses but is far deadlier. Most people don't even know they are infected, but 15 percent can develop serious illness and as many as 60 percent of those who do get severely ill will die. It's carried by mosquitoes - both the Aedes aegypti mosquitos that spread dengue and Zika, and also by jungle-dwelling Haemagogus mosquitoes. But people planning to travel to Brazil need to take the time to find and get it before they go, Cetron said. "We know this has been and will continue to be inconvenient for some travelers," he told reporters. There's a small potential for travelers to carry yellow fever to the U.S.
"It can spread from person to mosquito," said Dr. Lyle Petersen, who heads CDC's Division of Vector-Borne Diseases. "That is what we fear could potentially happen." The last time yellow fever spread in the U.S. was 100 years ago, Petersen said. "We are not too worried about yellow fever being transmitted in the United States," he added. That's because even though parts of the southern U.S. are homes to Aedes mosquitoes that can spread yellow fever, the odds of someone coming back infected and spreading the virus to a local mosquito are low. "We do have the Aedes aegypti mosquito here in the United States," Petersen said. "There is a small potential for some local transmission. We think it's a low risk," he added. "We learned that from Zika. Thousands of people came to the U.S. with Zika, which is carried by the same mosquito, and we only saw small pockets of local transmission in southern Texas and in the Miami area." "Monkeys were dying off in the parks and forested areas right on the outskirts of Sao Paulo city," Cetron said. "It wouldn't be very hard to walk to an area where there is this forest-related transmission. I would not want to take a trip down there now without a vaccine."